Fragrant rosemary shines in meat and poultry dishes, sauces, with vegetables and in breads, and in stuffings and stews. Much of its flavor comes from the essential oil camphor found in its leaves. 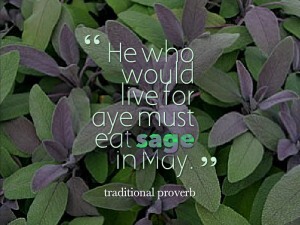 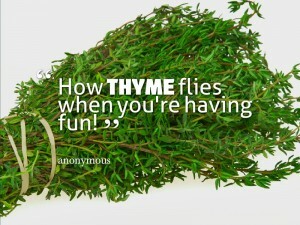 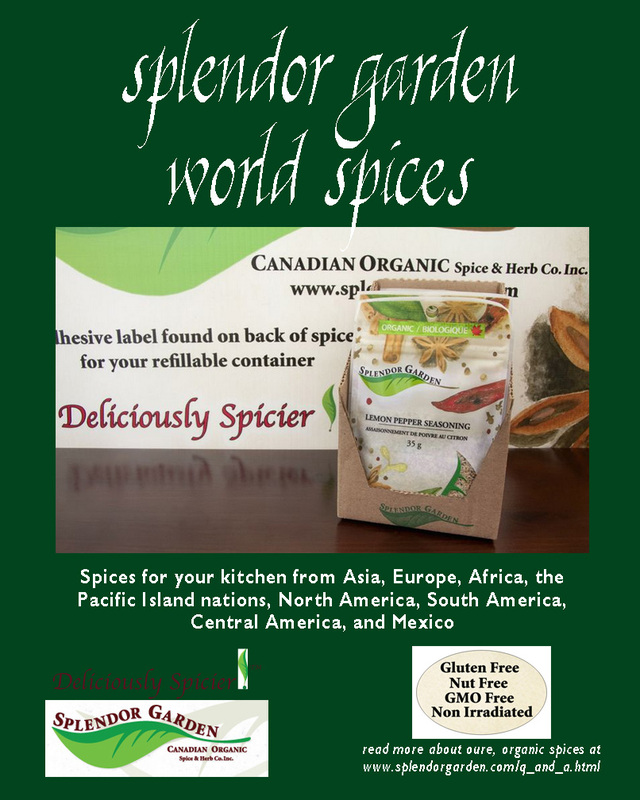 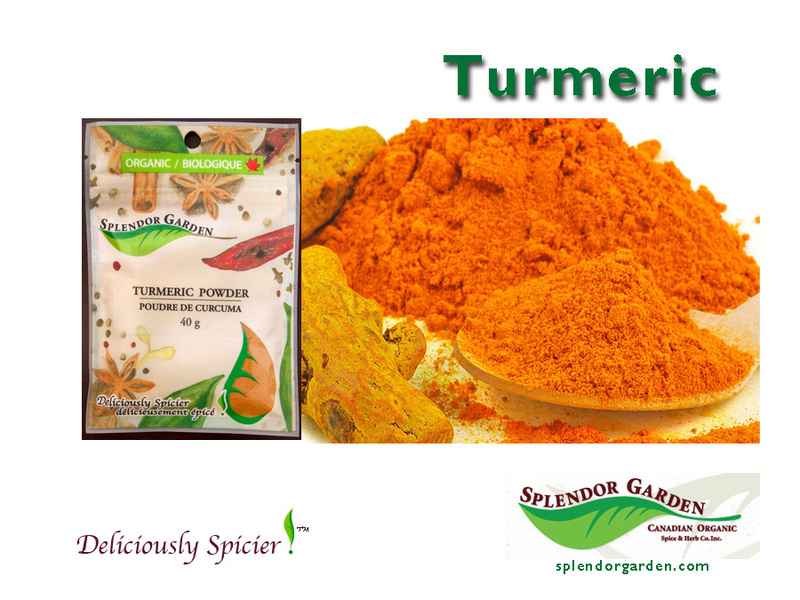 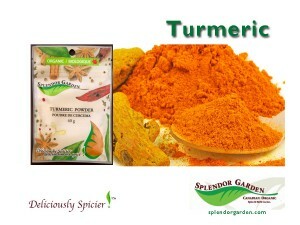 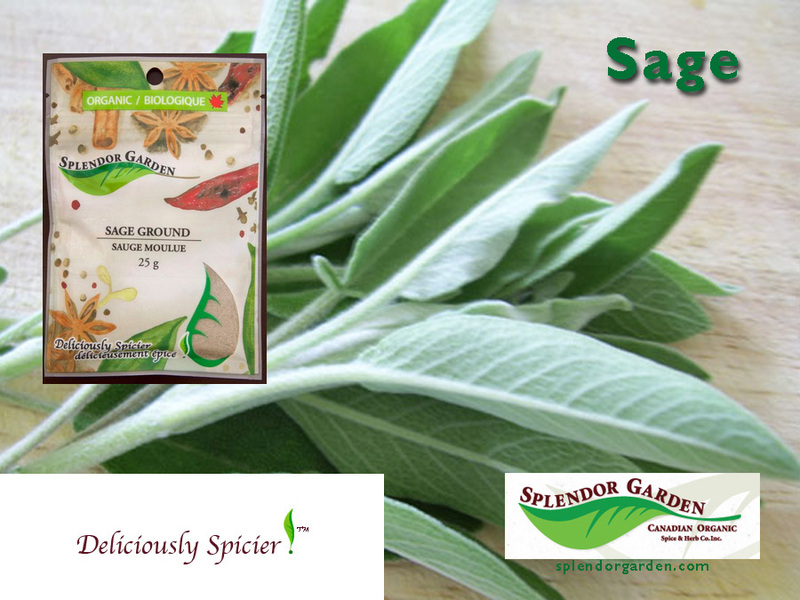 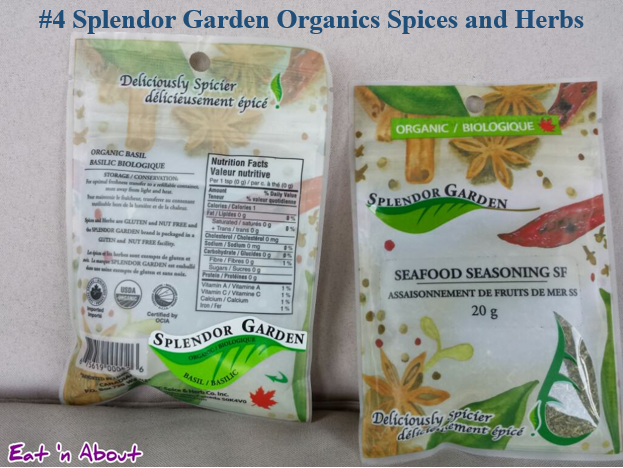 For tips and a Q & A about organic herbs and spices visit our website at www.splendorgarden.com, and don’t forget to like our Facebook page! 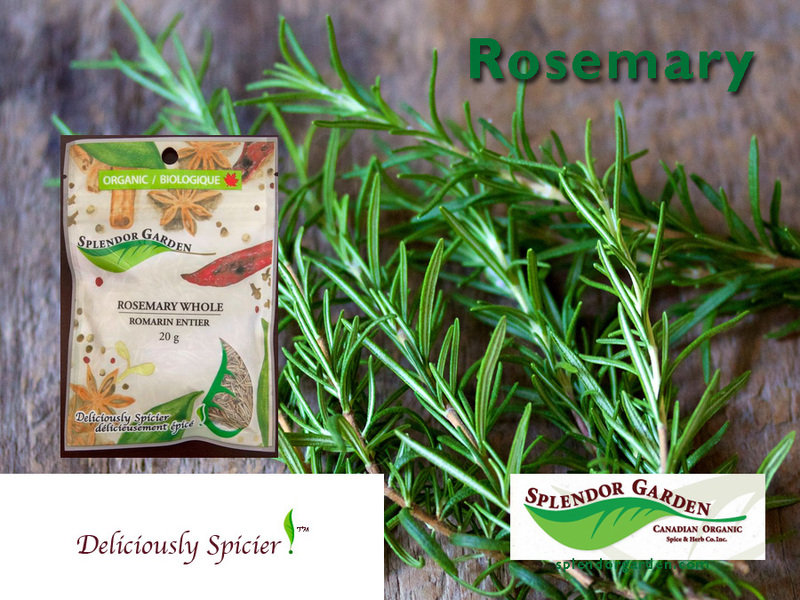 Read more about rosemary at Splendor Garden’s information page. 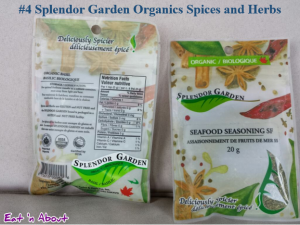 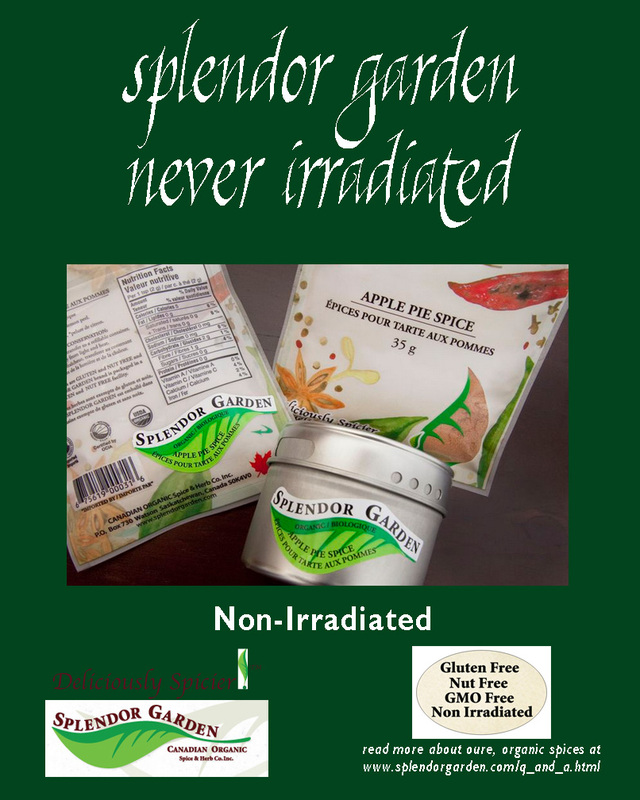 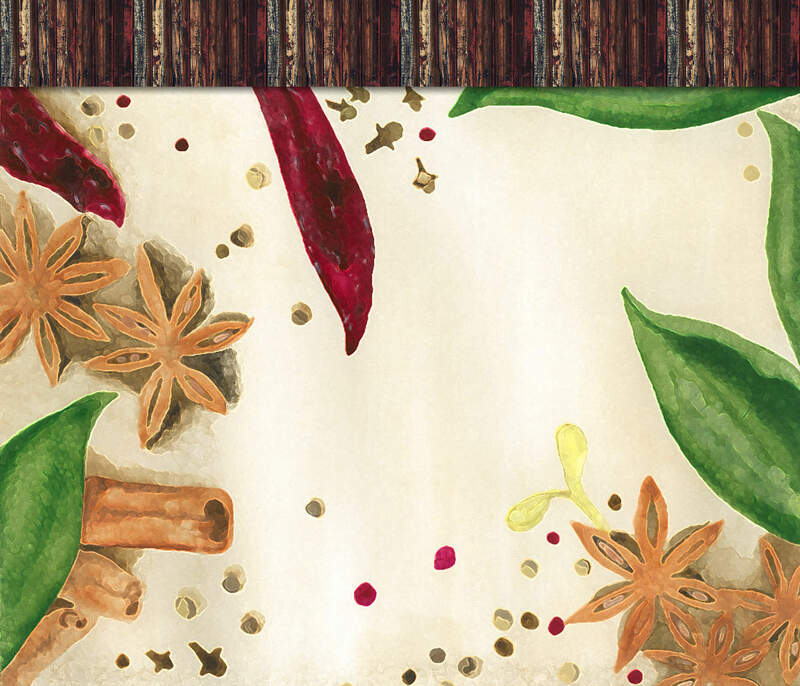 Black pepper is SPLENDOR GARDEN’S spice of the week. 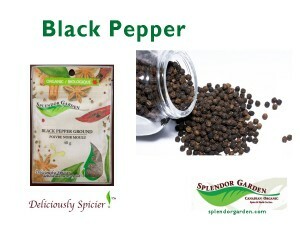 Black pepper, known as the “master spice,” is the most long-lasting of spices. 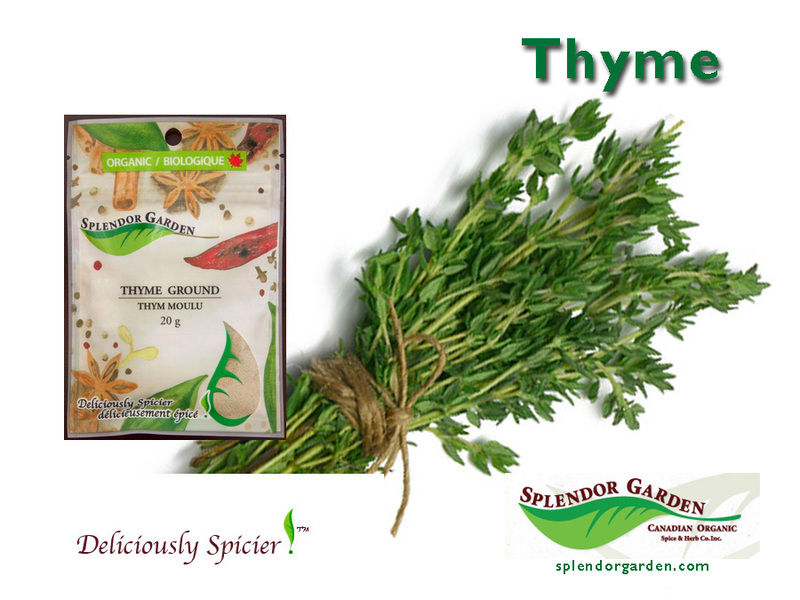 It is made from mature but unripe peppercorns, which are dried to give the classic pepper taste. To learn more about black pepper, visit Splendor Garden’s information page about pepper, and don’t forget to like our Facebook page!